One thing about Japanese culture is that they’re big on giving gifts. There are many different customs involving giving and receiving gifts (お歳暮、お中元、etc.) and when Japanese people go traveling, you can be sure that they’re going to be picking up souvenirs to take back as gifts. Even when attending marriages or funerals, people are expected to give a certain amount of money as a gift to help fund the ceremony. You can see why properly learning how to express the giving and receiving of favors and items is a very important and useful skill. For some reason, the proper use of 「あげる」、「くれる」、and 「もらう」 has always haunted people studying Japanese as being horribly complex and intractable. I hope to prove in this section that it is conceptually quite straightforward and simple. 「あげる」 is the Japanese word for “to give” seen from the speaker’s point of view. You must use this verb when you are giving something or doing something for someone else. I gave present to friend. I’ll give this to teacher. 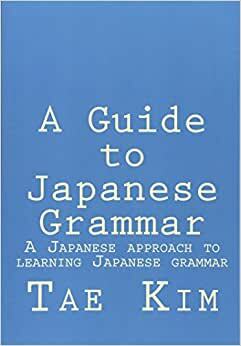 In order to express the giving of a favor (verb) you must use the ever useful te-form and then attach 「あげる」. This applies to all the other sections in this lesson as well. I’ll give you the favor of buying a car. I’ll give you the favor of going in your place. For third-person, this verb is used when the speaker is looking at it from the giver’s point of view. We’ll see the significance of this when we examine the verb 「くれる」 next. Usually used for pets, animals, and such, you can substitute 「やる」, which normally means “to do”, for 「あげる」. You shouldn’t use this type of 「やる」 for people because it is used when looking down on someone and can be offensive. Did you give the dog food? Here, 「やる」 does not mean “to do” but “to give”. You can tell because “doing food to dog” doesn’t make any sense. 「くれる」 is also a verb meaning “to give” but unlike 「あげる」, it is from the receiver’s point of view. You must use this verb when someone else is giving something or doing something for you (effectively the opposite of 「あげる」). Friend gave present to me. Teacher gave this to me. You’ll give me the favor of buying a car for me? Will you give me the favor of going in my place? Similarly, when used in the third-person, the speaker is speaking from the receiver’s point of view and not the giver. The following diagram illustrates the direction of giving from the point of view of the speaker. Teacher, will you be the one to give favor of teaching to… [anybody other than the speaker]? Because all giving done to the speaker must always use 「くれる」, we know that the teacher must be doing it for someone else and not the speaker. The speaker is also looking at it from the teacher’s point of view as doing a favor for someone else. Teacher, will you be the one to give favor of teaching to… [anybody including the speaker]? Because the giver is not the speaker, the teacher is either giving to the speaker or anyone else. The speaker is viewing it from the receiver’s point of view as receiving a favor done by the teacher. Let’s see some mistakes to watch out for. 「もらう」 meaning, “to receive” has only one version unlike 「あげる／くれる」 so there’s very little to explain. One thing to point out is that since you receive from someone, 「から」 is also appropriate in addition to the 「に」 target particle. I received present from friend. About this, received the favor of buying it from friend. I wanted to receive the favor of checking homework but there was no time and it was impossible. (He) received that watch from me. You can make requests by using 「くれる」 and the potential form of 「もらう」 (can I receive the favor of…). We’ve already seen an example of this in example 4 of the 「くれる」 section. Because requests are favors done for the speaker, you cannot use 「あげる」 in this situation. Will you give me the favor of lending 1000 yen? Can I receive the favor of you lending 1000 yen? It is not normal to explicitly include the subject and target like this when directly addressing someone but is provided here to illustrate the change of subject and target depending on the verb 「くれる」 and 「もらえる」. You can use the negative to make the request a little softer. You’ll see that this is true in many other types of grammar. Won’t you be a little quieter? Can you write this in kanji for me? In order to request that someone not do something, you simply attach 「で」 to the negative form of the verb and proceed as before. Can you not eat it all? Can you not buy expensive thing(s)?